The Naqshbandi Army (Jaysh Rijal al-Tariqa al-Naqshbandia/JRTN)- the Ba'athist-Sufi outfit led by Izzat Ibrahim al-Duri I have documented previously- stands out among Iraq's various Sunni insurgent groups for its operating multiple front groups on the military and political levels. At the military level, this phenomenon has taken the form of local "Military Councils for the Revolutionaries of the Tribes," a whole string of which issued statements recently reaffirming the rejection of the current government and constitution and stressing the goal of 'revolution' and overthrowing the system. These military councils were first announced with the renewal of the wider Sunni Arab insurgency at the start of this year: that they are front-groups for JRTN is demonstrated by multiple data points. First, they were announced via JRTN's activist wing Intifada Ahrar al-Iraq, which played a role in organizing JRTN-aligned protests in areas such as Hawija, Jalula (Diyala province) and Shirqat (northern Salah ad-Din province) in 2013; second, the messaging is identical to the JRTN, not only with the superficial cross-sectarian messaging appealing to Shi'a and Kurds with purported military councils for Shi'a in Nasiriya and Dhi Qar (which, to be sure, do have some remnant de-Ba'athification cases) and Kurds in Kirkuk, but also in echoing the language of JRTN statements and talking points, such as attacking the Shi'a coalition National Alliance as an agent of Iran, and using JRTN forms of address (e.g. "Oh dignified people of Iraq," with at least one vocative address being used invariably in these military council statements a la JRTN). However, there are JRTN activist front-groups besides Intifada Ahrar al-Iraq, documented below. The SCCIU describes itself on its Facebook page as a "revolutionary student press outlet encompassing the entirety of the student body of Iraq's universities," with its official spokesman Baha' al-Din al-Rawi and president Abu Abd al-Nuaimi. On its Youtube channel, the group claims to have organized demonstrations at the University of Tikrit in April 2014. The SCCIU's affinity with JRTN quickly becomes apparent when one considers its statements and social media content. As regards the former, consider a statement released on 14 August by SCCIU as regards the replacement of Nouri al-Maliki as Prime Minister (PM) designate with Hayder Abadi, advertised on Ba'athist sites such as albasrah.net. Much of the content, phrasing and language is predictable when one considers JRTN statements for comparison. Thus, the SCCIU statement begins: "Oh heroic Iraqi people of resistance, oh free students in Iraq." The refrain of 'ayyuha' parallels JRTN opening addresses and the JRTN's local military council fronts, as well as concepts of muqawama ("resistance"), ahrar ("free men") and ash-sha'ab al-iraqi ("the Iraqi people"). Predictably, the SCCIU statement denounces the PM designate change as no more than superficial, denouncing the government for ta'ifiya ("sectarianism") and 'ansariya ("racism"), two terms frequently invoked in JRTN statements in stressing the need for 'revolution' against the government. Similarly, the SCCIU speaks of the necessity of preserving Iraq's "unity, independence and sovereignty" (wahdatihi, 'istiqlalihi wa sayadatihi), terms also invoked in a similar order in JRTN statements. One phrase in particular stands out: "We completely reject the constitution." This parallels the JRTN's emphasis in its messaging on the problem being the current constitution of Iraq. On the group's Facebook page, one can find regular posts in praise of JRTN. 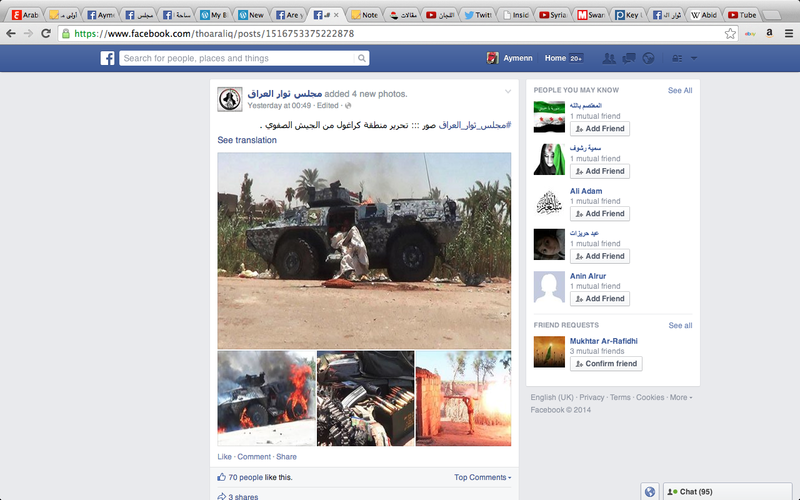 One of the postings is particularly egregious for the advertisement of an Intifada Ahrar al-Iraq photo as a military operation by JRTN, further underlining the link between Intifada Ahrar al-Iraq and JRTN. Other posts have featured Izzat Ibrahim al-Duri and his Supreme Command for Jihad and Liberation, of which JRTN is by far the main component. When questioned about the issue of relations with the Islamic State (IS), SCCIU on Facebook echoed JRTN sloganeering to evade the query, insisting: "We are the people and the people are from us," proceeding to downplay IS as supposedly no more than 5% of the insurgency once pressed further. On a final note, Abu Abd al-Nuaimi, who will be discussed further below, uses Ba'athist terminology in referring to Kirkuk governorate as 'T'amim', vowing "indeed we are coming" ('inna qādimun') to Baghdad, echoing yet another JRTN slogan. In short, the SCCIU can be viewed as a student activist front group for JRTN. 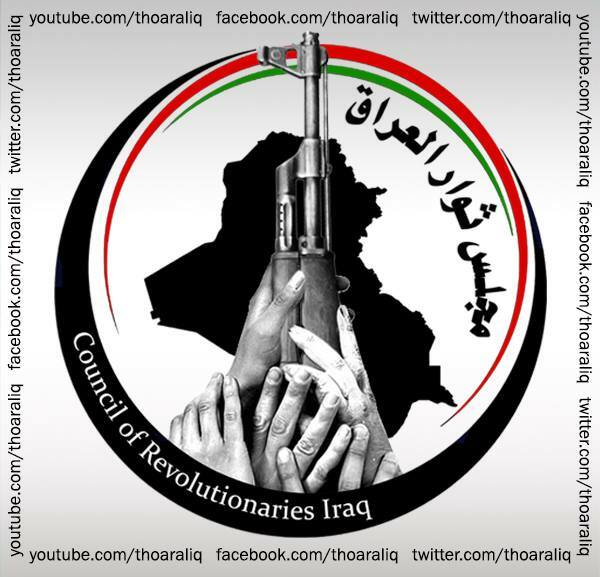 The CRI (majlis thuwar al-Iraq) is a recently established organization headed by Abu Abd al-Nuaimi, who has also been described as official spokesman for "Thuwar al-Iraq," regularly speaking to pro-insurgent TV channels like al-Taghier, to which he recently declared that there had been a meeting of insurgent commanders to establish plans for an imminent "battle of Baghdad" complete with the supposed arrival of large reinforcements to the area in preparation for the battle, claiming complete control of the Baghdad Belt area. This emphasis on a "battle for Baghdad" is a common feature of JRTN rhetoric. 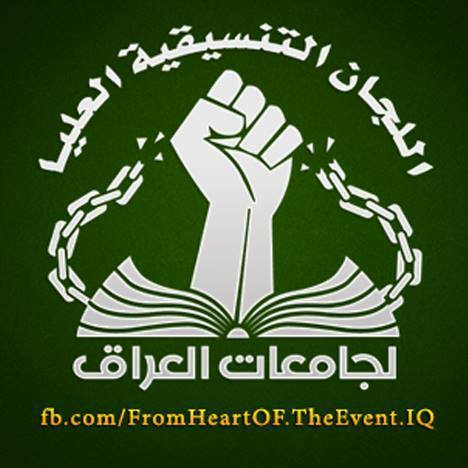 One should also note the Thuwar al-Iraq's page advertisement of its own links to Intifada Ahrar al-Iraq and JRTN. Further investigation shows the JRTN links of Abu Abd al-Nuaimi- originally from Salah ad-Din province- as he participated in Intifada Ahrar al-Iraq protests such as the familiar Hawija protest site on 28 January, affirming revolutionary goals of changing the constitution and government. On its Facebook page, the CRI waxes on about the supposed coming "liberation of Baghdad." For example: "We are from the people, with the people, and we are all revolutionaries for the sake of Iraq and all components of the Iraqi people. The fighting will continue until entering the capital Baghdad and liberating it from criminal Safavid rule." Like a number of pro-'revolution' pages, the CRI attempts to downplay IS' dominance of the current Sunni Arab insurgency, even going so far as to distort photos released by IS' provincial Twitter feeds, as can be seen below. CRI advertising the capture of Keraghul in al-Yusufiya area from security forces, having removed the IS "Wilayat al-Janub" labels from the original photos. Photoshopping by pro-insurgent media more generally to disguise the IS presence is nothing new. Considering that not all Sunni Arabs practise Naqshbandi Sufism as advertised on JRTN's official website, and given Ba'athism's superficial cross-sectarianism, it is hardly surprising that the JRTN should have front groups as part of a broader Ba'athist ideological network, particularly in the form of local tribal military councils. However, in this case, what we have is the mere creation of multiple activist front groups to make out the pro-'revolution' front to be bigger than it actually is, especially as it has become apparent how IS has come to assert its authority in multiple key localities that have fallen out of government control. But perhaps more importantly, the discourse of these front groups illustrates that the JRTN network in particular, second to IS in terms of overall influence on the insurgency, still has no intention of confronting IS at the present time, and wishes instead to continue with the rhetoric of 'revolution' and capturing Baghdad. This can only allow IS to consolidate further and impose its agenda, making it more difficult to dislodge and roll back IS over time.